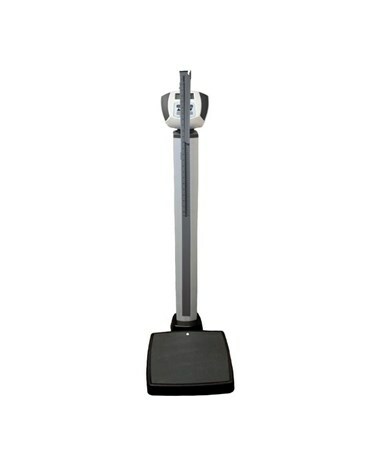 If you are looking for a durable and user friendly waist high digital floor scale, the 599KL Health-o-meter Professional Digital Scale will fill all your needs. 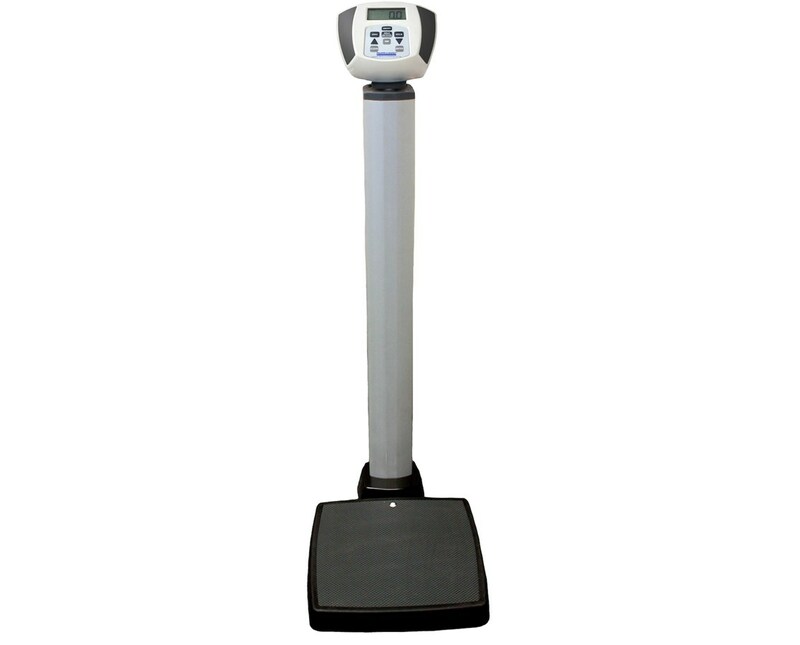 Engineered for long term and high volume use this scale is the ideal solution for small and large facilities in need of a dependable and efficient digital scale. 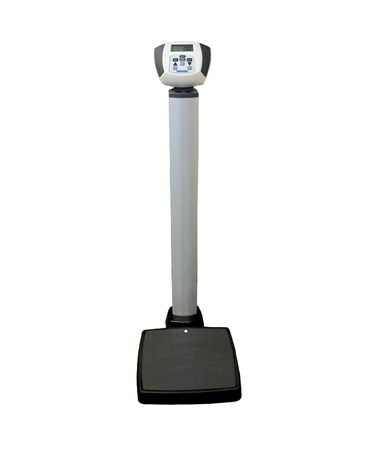 Features: This heavy duty scale features EMR connectivity via USB, which allows for fast and easy data transfer. The large 1" LCD display with 350° swivel capabilities features the Pro Select® keypad. Functions: The functions on this keypad include, LB / KG conversion, LB / KG lock out, Body Mass Index (BMI), Zero Out / Tare, Hold / Release, Auto Zero, and Auto Off. Safety: A large non-skid platform enables your patients security and stability while being weighed. Built-in wheels facility easy mobility, making this scale the ideal choice for very large health care facilities. Power and Warranty: Included with this scale is a 120V adaptor. You also have the option of powering this scale with 6 C-cell batteries (not included). A 2 year warranty ensures that any difficulties you experience with this scale will be quickly and efficiently resolved. Accuracy Up to 250 lbs: +/-0.2 lb; Above 250 lbs: +/- 4/10 lb.